Come and join us for fun on Sunday afternoons in November and December! Plant a herb garden outside the Mt Waverley Centre for our cooking classes and use some herbs to a crunchy Asian salad and teriyaki beef stir fry - yum! Expand your mind by engineering a cardboard city, exploring the Fibonacci sequence in sunflowers and learning about some of the latest innovations in technology. All children rotate through the same three sessions of 75 minute duration. November 26 - Construct a Computer - SOLD OUT! Take a computer apart and learn about all of the components. Put it carefully together with working elements and you can take it home! 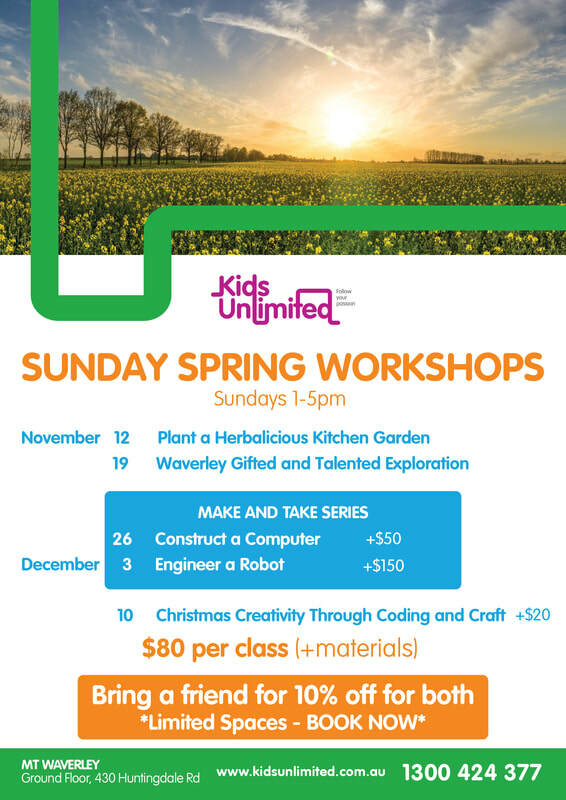 December 3 - Engineer a Robot - SOLD OUT! Make your very own robot and learn to program it with commands to fulfill your every wish - and then take it home!. You will need your own Bluetooth device and a pre-loaded app. With two weeks until Christmas, it's time to send out an interactive Christmas e-card, make a snowman and decorate the house with origami decorations. All children rotate through the same three sessions of 75 minute duration - with all creations to go home! 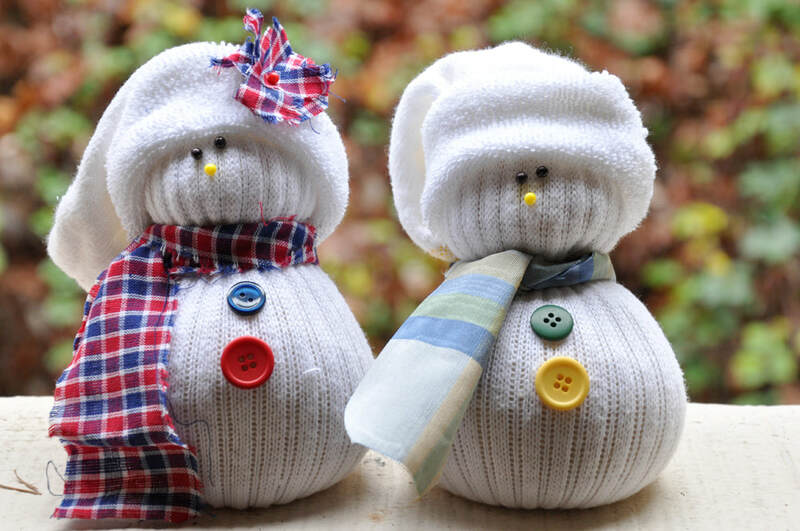 Session 1: Make a Snowman - children to use a sock to create their personal snowman who won't melt at the end. Session 2: Using Scratch children will code a fun and interactive e-Christmas card to send to their family and friends. Session 3: Christmas needs decorations, and these origami projects will look beautiful around the house. 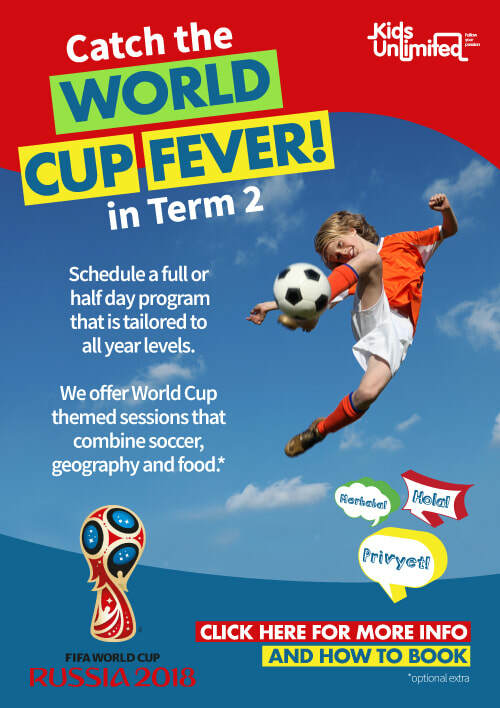 For 10% off, enrol online and email tordy@kidsunlimited.com.au with the name of your friend. When they enrol, a 10% refund will be sent back to you.